Stock# Stacyc 16 NEW 2018 Stacyc 16 E-Drive Electric | Sioux Falls, South Dakota 57107 | Power Brokers Inc.
BACK IN STOCK AND READY FOR DELIVERY with free shipping!!! These machines flew off the floor when we got our initial order in and we just received our latest shipment...don't miss out again. 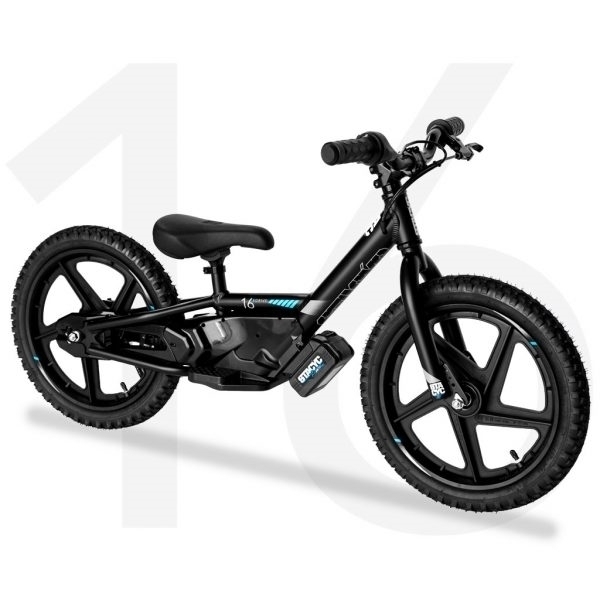 For ages 4 to 10 years depending on size these electric Strider bikes are 'The Bomb'. A wonderful way to get kids out riding with a 3 position twist throttle, high grade lithium ion battery and top notch components this is one of those items you'll never regret buying...come check them out. $699.00 Goto our Yardsale section to get yours today with free shipping! Hello, I would like more information about the 2018 Stacyc 16 E-Drive Electric, stock# Stacyc 16. Hello, I would like to see more pictures of the 2018 Stacyc 16 E-Drive Electric, stock# Stacyc 16. Ready to drive this 2018 Stacyc 16 E-Drive Electric? Let us know below when you are coming in, and we'll get it ready for you.